You don’t have to finish culinary school to have the kitchen of a top chef. Here’s how you can design a gourmet chef’s kitchen in your very own home. While you may think top-of-the-line appliances are at the top of every chef’s kitchen checklist, you may be surprised to discover that many cooks rate counter space as their top priority in their own kitchens. When choosing a countertop material go for style that’s durable, or chef-proof, so to speak. 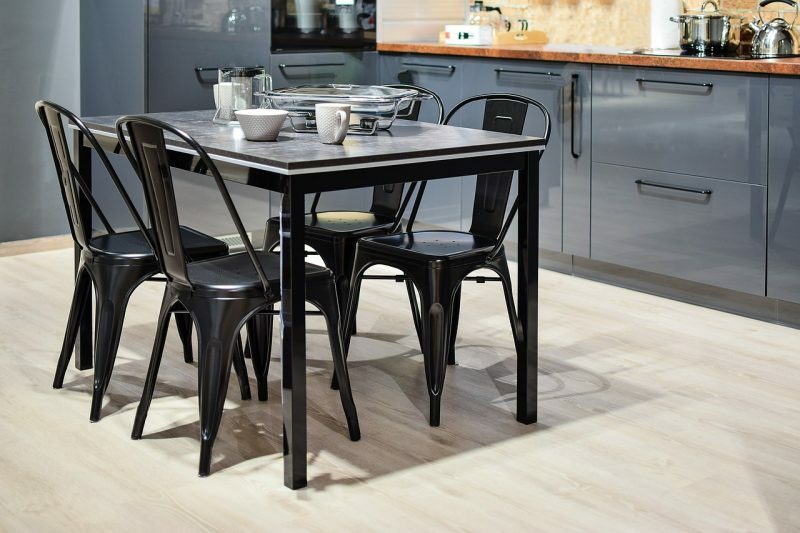 Options such as butcher block, quartz or concrete are all stylish — and durable — choices. Now that you’ve got your countertops covered, you will want to start thinking about task lighting. This essential kitchen lighting allows you to effortlessly light your working space so that you can see what you’re working on, whether it’s chopping vegetables or frosting a cake. 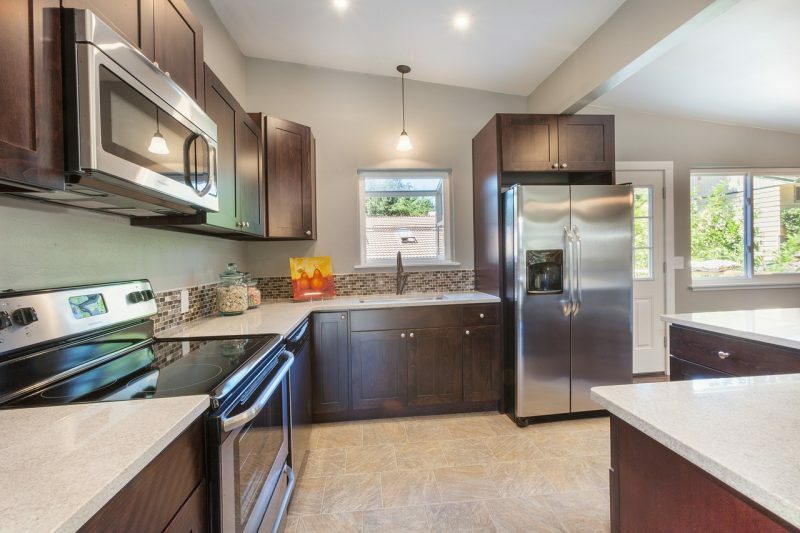 There are many different styles of under-cabinet lighting, including lighting strips, round lights or pucks, and LED ropes and tapes. When installing task lighting, design experts recommend placing your lights at least 30 inches above your work space. These styles are generally easy to install and can brighten your kitchen workspaces, making your kitchen more efficient. Hosting a last-minute dinner party? Need 100 cookies for a charity event? Simply cooking a weeknight meal? When your kitchen is organized cooking at home is a lot less challenging. Chefs don’t like clutter, so clean it up. If items are hard to get to there’s a good chance that you won’t use them. Some chefs swear by keeping all of your items out in the open where you can see them. You can apply this in your own kitchen by implementing floating shelves that house everyday items. Additionally, pot racks are a chef’s best friend. Once you adopt a “less is more lifestyle,” you may find that cooking is more stress relieving than stress inducing. Leave the professional-grade appliances to the pros. Remember, your home kitchen is just that; a home kitchen, not a restaurant. 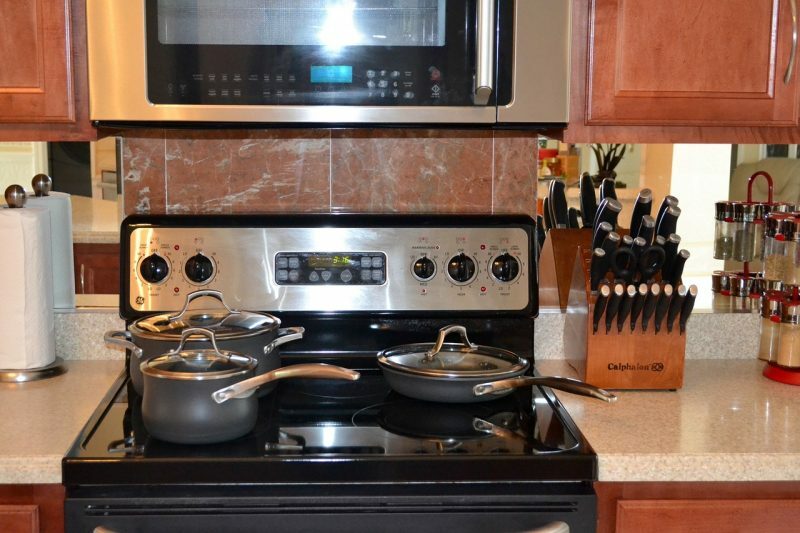 Instead of paying a high price for commercial cookware, opt for high-end residential appliances instead, like a gas or induction stove, for example. These kitchen must-haves emit less heat and are generally safer, too. And when it comes to the refrigerator, invest in a second. This way you have a place to store homemade food items like soup stocks. A closed-off kitchen can make you feel isolated when entertaining. When designing your gourmet kitchen, keep an open floor plan in mind. This way you can have a warm, shared space that everyone can enjoy while entertaining. In addition to keeping your floor plan open, it is also a smart idea to strategically place certain appliances and kitchen essentials in specific areas that naturally flow with your cooking style, from prep to plate. And, be sure to let some of your personality shine through. Choose accents that give the space some character, such as a gallery of food photos or a few carefully placed family antiques or cookbooks. From essential task lighting to an open floor plan, with these tips you are on your way to creating a chef-approved kitchen.